Fast Retailing Co., Ltd. is taking it to the next level with the development of its new business model. The keywords for the company are ‘globalization’ and ‘digitalization’ as it aims to become the number one in the world in the fashion sector by evolving to swiftly adapt to the rapid advances of society and the globalization of markets brought about by the advancement of IT. 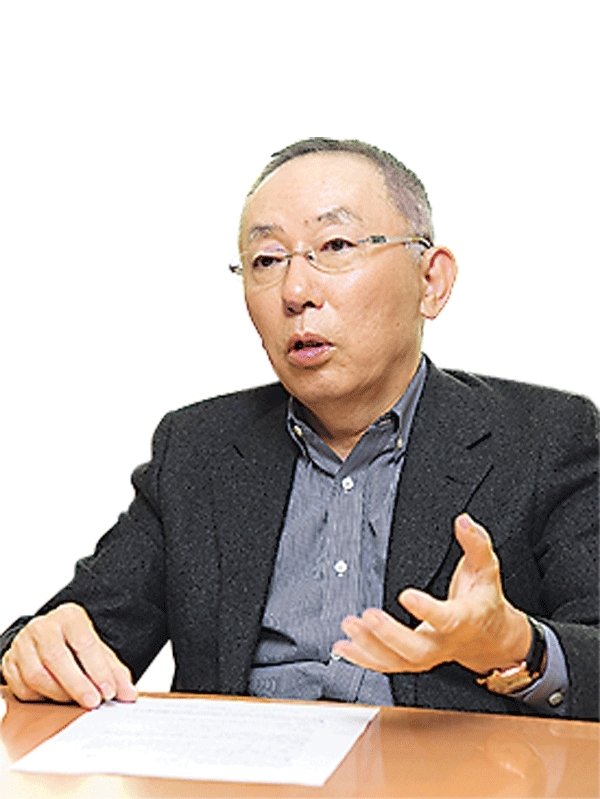 We spoke with Tadashi Yanai, Chairman and President of Fast Retailing, in this regard. With the global polarization of consumption, the motivation behind why fashion companies sell clothing has once again come into question. On the one hand, it is becoming difficult to sell clothing in developed countries the same way as in the past, but on the other, the rising middle class in countries undergoing economic development and consumers who have awakened to the joys of fashion have started buying more. Meanwhile, in Japan, though there is intense consumption by people employed by large companies, by those who have accumulated wealth on the stock market or through real-estate, and by consumers from overseas, most of the general population does not feel that its income is growing and continues to avoid purchasing clothing. That’s why I believe we have entered a period where, in Japan and other mature markets, inadequate products will not sell. So while clothing is something people need in their daily lives, it must also be fashionable or newsworthy to grab the customer’s attention. Instead of depending on superficial ideas, we need something more fundamental. All employees need to be motivated to sell clothing. If they don’t, then it will be difficult for the business as a whole to continue selling. We can see a disparity emerging between companies who sell clothing with the goal of bringing joy to their customers, and those that don’t. This occurred last year and it is in fact occurring all over the world. The sharing of fashion-related information has grown globally with the spread of the Internet and social media, and there is less difference between the various products that sell well. Fast Retailing believes that globalization and digitalization are essential for further growth. Our joint operations with Accenture and the third stage of our strategic partnership with Toray are aimed at accelerating those processes. We are in an age where the world at large has become digitalized and globally connected with the spread of the Internet and the continued evolution of information technology. Numerous industries in the world at large are beginning to steer in that direction. Our company sells clothing, part of the three pillars of life that are food, clothing, and shelter, and the fashion industry itself is one that reflects the trends of the times. For that reason, we must specialize according to those trends as best we can. Brands excelling in their local markets are now able to compete globally, and this is occurring throughout the world. The Alibaba Group in China is a fine example, where a business started by people who previously had no involvement in online sales grew to impressive scale. The borders between the industries of retail, planning, and production are disappearing, and those who possess excellent ideas can step out into the world and achieve success. We have partnered with Accenture in order to provide our customers with a shopping experience that extends seamlessly between online and actual shops. Accenture is a highly global company with executives throughout the world, and 300,000 employees working on system development and consulting for their customers throughout the world. The reason we created a joint venture with them is because I want us to become a company at which a wide range of people can find success throughout the world. Globalization and digitalization also bring about negative changes in society. Since last November, Fast Retailing has begun strengthening support for the rapidly growing flow of refugees throughout the world. This is more than simply a philanthropic activity for the company. Today, you can get your hands on a smartphone for only 50 dollars. I’ve heard that there are even those who escape from the dangers in their own countries using GPS positioning information from those phones. This new phenomenon is occurring specifically because the world is rapidly becoming more connected. Our company also has shops in the European market and so we want to provide whatever cooperation we can. With that in mind, I thought about what we, as a clothing company, could do. I’m sure you are aware of the positive feeling you can get when you wear new clothing. So that was one area where I felt that we could provide support right away. Of course, we would be very happy if those people one day became customers who purchase our clothing, but first we want to provide them with the support they need to become independent. As refugees, what they need is conditions that allow them to lead independent lives. So not everything that has resulted from the advancement of globalization and digitalization is good, but if you try to avoid the negative realities, they will eventually catch up with you. To solve them, you must face them head on. This is true not only of business, but also problems faced by society. Fast Retailing topped past performance in the fiscal year ending August 2015 (consolidated). However, the slowdown in the domestic Uniqlo business during the fourth quarter has been deeply frustrating. The stagnation in the fourth quarter (for the domestic Uniqlo business) occurred because we were unable to identify trends, and because there were problems with product planning and logistics. We have taken corrective measures, and we will start seeing the effects of those measures in the latter half of the current spring and summer season, particularly in womenswear, where reflecting trends is particularly important, as well as kidswear, a segment we are trying to strengthen. The mixing of objective and subjective elements, and logical thinking with emotional sensibilities, makes this a very difficult industry to do business in. In addition to considering material selection, planning, sewing, trends, and the market, there is also a need for adequate preparation of volume and cost performance to meet demand. In addition, you have to constantly add new elements and discoveries to that, and you need the ability to steadily carry that process out using extremely basic methods. You cannot simply repeat past efforts to reproduce your previous success. Our focus this year is to rethink our business processes, and to realize that we ourselves must also change. Japan continues to be a huge market, so we must ask ourselves how we can be successful globally without first being successful in Japan. We will continue to grow, and we are taking measures to ensure that. In this period (fiscal year ending August 2016), the number of overseas Uniqlo retail shops is expected to exceed those in Japan. Fast Retailing aims to continue to grow in Japan without increasing the number of shops domestically. In Japan, we will spend the next three to five years reviewing the location and floor space of the huge number of shops we opened during our growth phase, and carry out a scrap and build process. We don’t believe that just because products sell online, we can’t also sell through brick-and-mortar shops. We wish to show our finished form to our customers via our real-world stores. 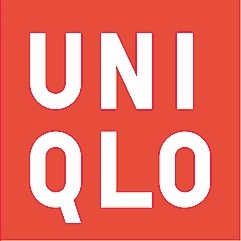 The most important thing for Uniqlo shops is to carry the entire product line so that customers can see and feel items first-hand and know how they go together. That is not possible in the smaller shops. We are trying to create reasons for consumers to come to our real-world stores that cannot be experienced online. If the virtual world and the real world become more integrated in our future business, then we will have to increase the standard of our store operations to an even higher level than before. That will result in a continuing need for the people working in the shops to learn in order to understand the progress in technology. That’s why what we need most is capable knowledge workers, who can generate added value by leveraging knowledge, wisdom, and experience, instead of simply basic labour. The capability most needed when working in the real stores is that of sales consulting. This is something you can’t do with artificial intelligence. It is only possible when a sales person communicates directly with the customer. The reason we are adopting a system of three days off per week is because, as the working population is shrinking, we want to make better use of capable personnel who previously could only work as part-timers. Number one in the world will mean the first company in the world to realize globalization and digitalization in both the real and virtual domains. As the fashion industry originally developed, it was separated into raw materials, spinning, fabric production and processing, planning, sewing, logistics, and retail. I want us to combine all those activities to create new businesses and systems with our own hands. We will provide truly enjoyable clothing to the people of the world using good sales methods. To achieve that, we will have executives in Japan step out into the world, and have executives from the rest of the world come to Japan, to create diverse teams that can leverage their shared knowledge and exchange wisdom. Even when opinions differ due to differences in nationality or culture, the exchanging of ideas brings about a unified view of phenomena and essence, allowing people to work together while sharing the same values. People can emulate the positive aspects of each other, and acknowledge each other’s abilities. I think true globalization is to aim for coexistence and co-prosperity, rather than seeing the problems facing society as structures of conflict, and I think that even in business, companies that embrace that will thrive.